Impuls ist ein Trio dreier junger aber dennoch erfahrenen dänischer Folk Musiker. Ihr Debütalbum wurde direkt nach der Veröffentlichung zum “Danish Folk Album of the Year 2011” nominiert! Geiger Michael Graubæk und Akkordeonist Jesper Vinther sind beide Absolventen des Department of Folk Music an der Carl Nielsen Academy of Music in Odense. John Bæk ist nicht nur ein brillanter Gitarrist, sein Songwriting hat in den letzten Jahren neue Standards im dänischen Folk gesetzt. Das Impuls Trio ist verspielt, explosiv, lyrisch und originell. Der Sound ist unverwechselbar dänisch, der Ausdruck modern, kraftvoll und eingängig. Sie spielen Konzerte und sie sind versierte Tanzmusiker, das sie sowohl als auch bei den PolkaBEATS unter Beweis stellen werden. This is a band of three experienced interpreters of the Danish folk tradition – and an impulse that can magically dissolve the past, present and future. 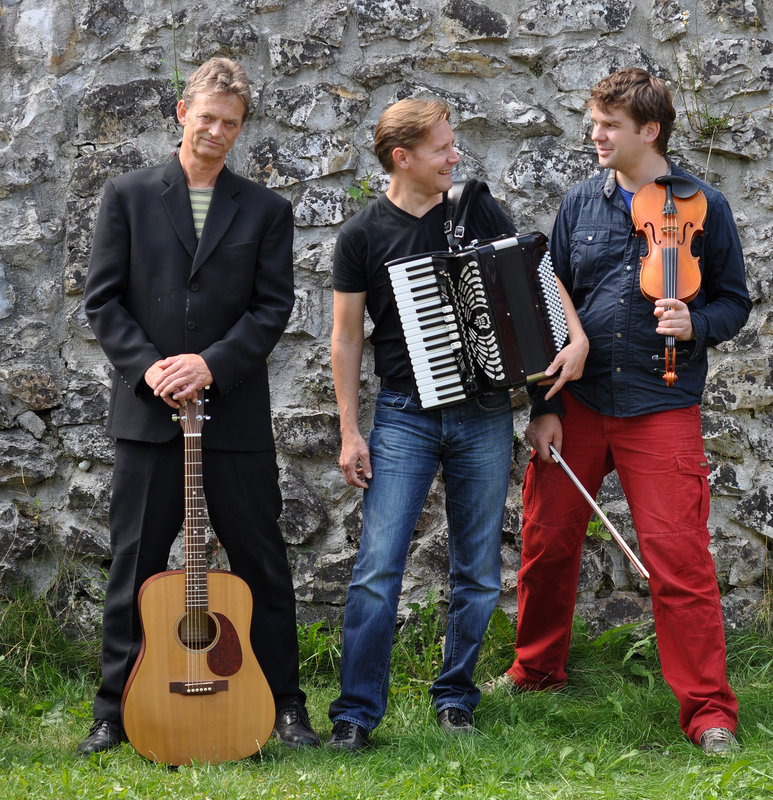 IMPULS TRIO play contemporary folk music based on Danish fiddle music. Known and unknown musical gems from the Danish tradition – with drones, songs and own compositions. Playful, explosive, lyrical and raw. The sound is unmistakably Danish – the expression is modern, powerful and catchy. Impuls trio play for concert and dance. The Debut Album was released on May the 20th 2011 and in October 2011 nominated as Danish Folk Album of the Year! IMPULS TRIO also plays school concert for the LMS (Live Music in Schools). LMS is a non-profit organisation established in 1992 and funded by the Danish Arts Council. Impuls to trio, w skład którego wchodzi troje młodych, ale mimo tego doświadczonych duńskich muzyków folkowych. Ich debiutowy album, zaraz po jego wydaniu, został nominowany w kategorii “Duński Album Folkowy Roku 2011” (“Danish Folk Album of the Year 2011″ )! Skrzypek Michael Graubæk oraz akordeonista Jesper Vinther są absolwentami Wydziału muzyki folkowej Akademii Muzycznej Carla Nielsena (Carl Nielsen Academy of Music) w Odense. John Bæk to nie tylko rewelacyjny gitarzysta, pisane przez niego teksty wyznaczają w ostatnich latach nowe standardy duńskiego folku. Impuls Trio jest skoczne, wybuchowe, liryczne i oryginalne. Ich brzmienie jest wyraźnie duńskie, ekspresja nowoczesna, silna i chwytliwa. Grają koncerty i są doświadczonymi muzykami, co udowodnią również podczas PolkaBEATS.